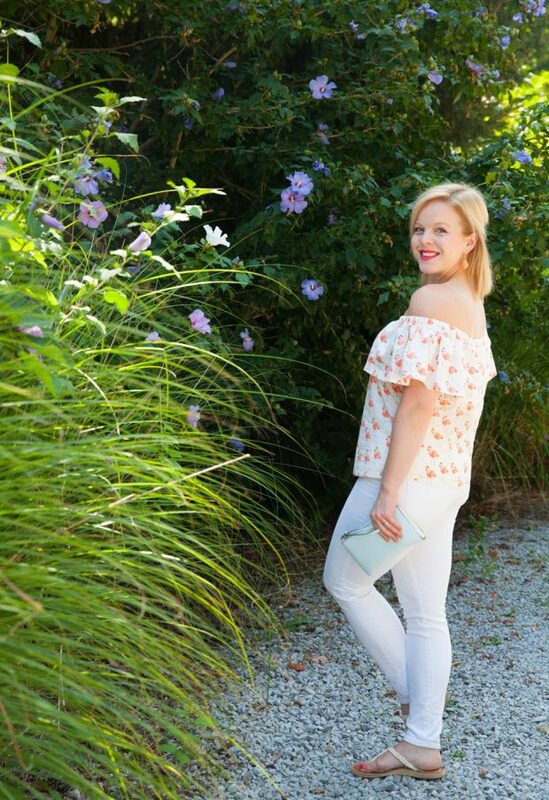 Off-the-shoulder tops are about as summer as it gets, and I’m soaking up what I can of the remaining warm weather. This one is a handmade version and I’ll be sharing a full tutorial on how to make this soon. Links to the rest below.